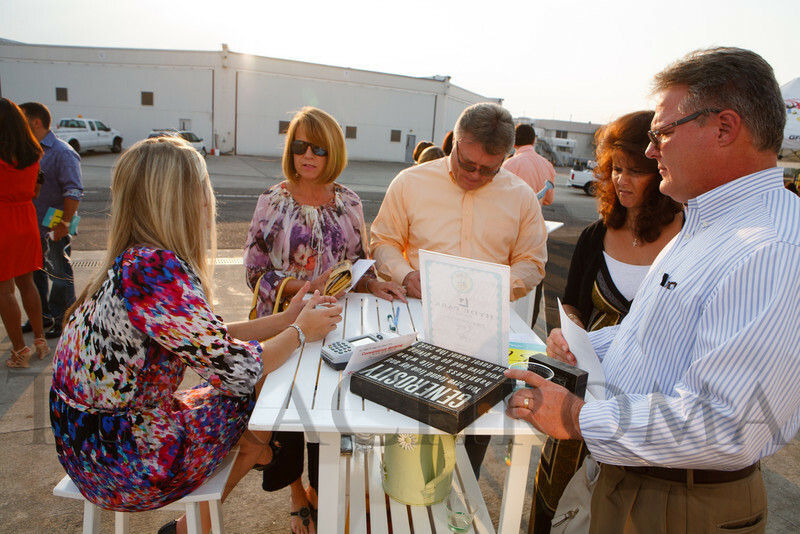 Gail and Brad Hodack with Wendi and Thad Hodack, filling out raffle tickets for a flight to Napa Valley. "SaddleUp! and Pack Your Bags" event, benefiting the SaddleUp! Foundation at the Mayo Aviation Hangar, Centennial Airport, in Centennial, Colorado, on Friday, Aug. 17, 2012.